The new song for sign2sing 2017 is here and it’s called Together. The song, written and sung for sign2sing by BottleTop MusicProductions with additional vocals by Get Gospel, has been brought to life in an uplifting video by Deaf film maker Bim Ajadi. Bim and his team made the video for the 2016 song Reach Out Your Hand and for 2017 they’ve produced another superb film, featuring deaf performer Rebecca Withey. Filming for the video took place at The Cottesloe School in Wing where students were joined by deaf and hearing pupils from Wingrave C of E Combined School and Gifford Primary School. Cottesloe School has a well-deserved reputation for excellence in drama and Bim and his team made the most of the fantastic facilities and talented students. Also featured in the video is footage of deaf children who attend schools supported by SignHealth Uganda. Deaf perfomer Fletch has also filmed a series of tutorials to hep participants learn the song and signs including a whole song tutorial and a line-by-line guide. This morning Mrs Hudson led Y7 in the Sign2Sing event. This is a very worthwhile fundraiser and if you feel able to donate, it is set up on ParentPay. 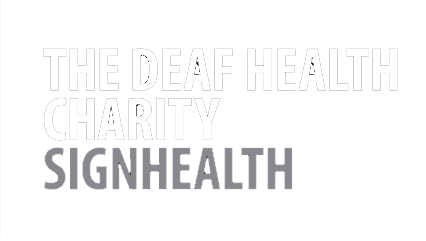 SignHealth has been working for over 30 years to improve the health of deaf people. We want to see a world where Deaf people are as healthy as hearing people.